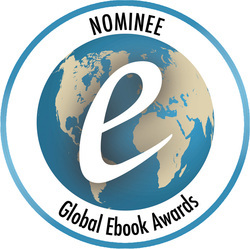 Nominated for the GLOBAL E-BOOK AWARD! 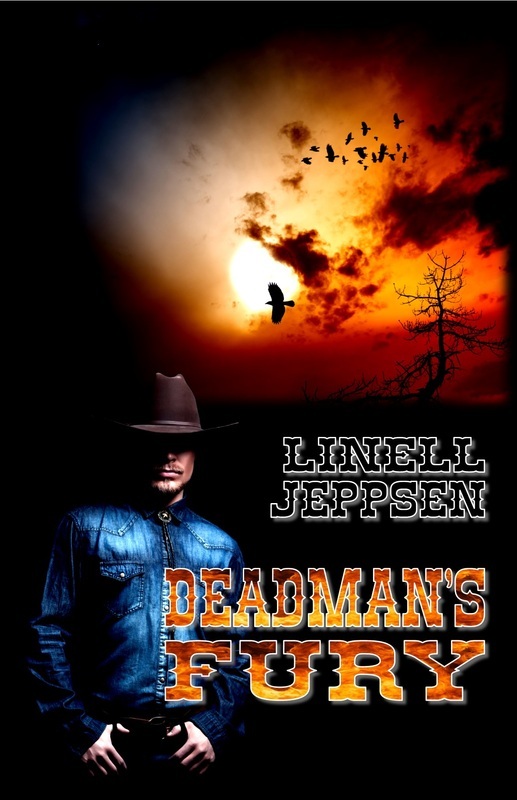 Deadman's Lament is also a finalist for The Western Fictioneers PEACEMAKER AWARD! 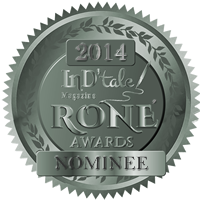 Nominated for the RONE award for Western Fiction! 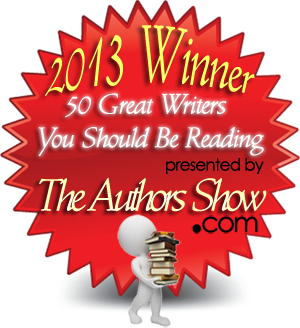 Linell Jeppsen won the 50 Great Authors You Should Be Reading contest at The Author's Den in 2013! With over 100- 4 and 5 star reviews! The year is 1872. 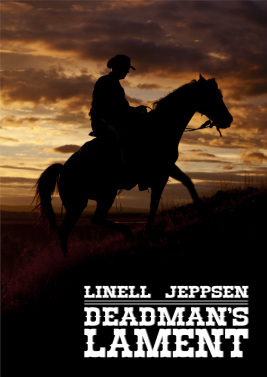 Twelve-year-old Matthew Wilcox leads a charmed life on his family's sprawling ranch in Washington Territory until a series of tragic events leave him orphaned and in the clutches of a vicious band of outlaws. Threatened by the gang leader's perverted cousin, Top Hat, Matthew also faces Indian attacks, dangerous wildlife, and a deadly snowstorm. He survives but burns with an overwhelming hunger for revenge. Thirteen years later, Matthew - now a Spokane County sheriff - realizes that Top Hat is riding again with a new gang called the Mad Hatters. It means risking his friends, his family and the love of a good woman, but Matthew must find the man who destroyed what he once loved most in the world. To that end, he and his posse venture into Idaho gold country to capture the Mad Hatters. Top Hat, however, has a different idea. He turns the tables, heading to the sheriff's hometown of Granville and going after everyone Matthew holds dear. What follows will haunt Sheriff Wilcox for the rest of his life as he confronts the hatred, vengeance and retribution buried deep in his own soul. Matthew will do anything, though, to put an end to A DEADMAN'S LAMENT. Sixteen-year-old Sara Giddings is a lost and lonely girl after the death of her mother, and like many young people forced to deal with life’s tragedies, Sara begins to dabble in drugs and alcohol. All of that changes when her father takes her to the tiny community of Ashbrook, which overlaps the land of the fae. Here, a young sprite named Pollo discovers that Sara is not a typical teenager, but a witch with immense, untapped power- the power to heal. Pollo, a cat named Hissaphat, and the wood nymph, Muriel convince Sara that her powers may be the only key to healing what ails the fae, and Timaron, king of the Unseelie court. Soon, Sara and her two friends, Nate and Chloe, are thrust into a dark and deadly world as they endeavor to free Timaron, whose mind has been possessed by demons and who, in his madness, has declared war on humankind. With only her two friends and a band of magical misfits, Sara must travel across a dying world. Hunted and haunted by forces even the faeries fear, Sara must reach Unseelie and face the prince of darkness himself, wielding a power she barely understands, to save the faerie king and the fate of two worlds. Once again, Ms. Jeppsen weaves a mesmerizing tale that is difficult to put down. I was pulled into this story early on, and was astonished at the imagination the author infused into her writing. The vampires in this story are fully realized, unique creations. These entities have existed and evolved throughout the ages along-side Homo Sapiens; powerful, secretive predators of man. Now, facing likely extinction due to mankind's relentless poisoning of the environment, there has a arisen an insane, yet forceful and charismatic leader of an outlaw band of rogue vampires. This group despises humanity, and is ruthless as it leaves an unprecedented trail of destruction in its wake. The past and the present intertwine as the drama unfolds in spectacular fashion. In the present, a loving couple and two heroic men become caught up in the age-old battle. There were a few times when I got confused by the time jumps, but the story never lets up. I never had time to become bored as each event propelled the action forward. This story is unlike any I have read before. Complex relationships are exposed, and an entirely new, intriguing mythology is revealed that becomes wholly believable in the context of this novel. This is a truly original story about the apocalyptic end of the earth. As natural disasters and alien invaders claim millions, a group struggles to survive the devastation on a remote ranch in Washington State. The tale is unveiled to us as it is being passed down to younger generations by the woman whose family owned the ranch, and also through interviews by a reporter who gives us another side of the story. This is a beautifully crafted book. Ms Jeppsen has done a brilliant job of portraying the entire gamut of human emotions and personalities, - from weakness to strength, despair to hope, immorality to compassion, grief to peace. Her characters are utterly believable and her descriptions of events put you in the midst of the action. It is well-paced and maintains the tension throughout. I loved the book and recommend highly. Well done, Ms. Jeppsen. In this modern world of science and high technology, in secret places deep under the ground and in the forest primeval, legends still walk the earth and what we think of as myth and fairy tale are all too real. Driving home late one night, Melody Carver, bereft and grieving after the death of her mother, sees a strange creature standing on the lonely road. This being will change her world-view forever, and open her eyes to a reality beyond her imagination. Melody’s chance encounter on that dark and snowy road will mark the beginning of a journey of discovery and wonder that will bring two worlds together in hope and despair. Can one person bridge the gap between the ancient and the modern, the mundane and the magical? An urban fantasy filled with adventure, romance, war, heartbreak and triumph! ONIO! Unlike anything, you have ever read before! Please feel free to contact me anytime! I am a great supporter of Indy writers and will do everything in my power to help new writers find a place in this scary, but exciting new world of publishing! I review (when I am not writing, that is...) and do my best to post no less than 3 star reviews. (In my opinion, just getting a novel written, formatted, and published with decent art is enough to rate 3 stars!) However- my reviews are honest! If I see a problem with grammar, spelling, punctuation, or a story that's full of holes, I WILL state these issues within the review. That being said, my reviews are courteous, and always respectful. If the story has huge problems (and ends up rating less than 3 stars) I will contact the writer, personally, before the review is posted. I am also proud to announce that I am the host (and Captain) of the S.S. SFAF on the Meet Our Authors forum, on Amazon. SFAF stands for Science Fiction and Fantasy. This thread is the home of many outstanding authors, both Indy and traditionally published, like T. Jackson King, Walter Spence, Stephen Goldin, John Patin, PL Blair, Sharon Reddy, Sheenah Freitas and J. Bryden LLoyd, to name only a few! So, if you would like to find writers, just like you, who are positive and always supportive of one another and the craft of writing, please feel free to join us! The only rule... always be polite, and leave any negative vibes behind when you come to call. Please use the contact form below to get a hold of me- all correspondence will go to my e-mail and I'll respond just as soon as possible! Also, keep in mind that I will be starting a blog very soon. That is where I plan on hosting events, contests, reviews and give-aways! I want all of you to join me as soon as its up and running! 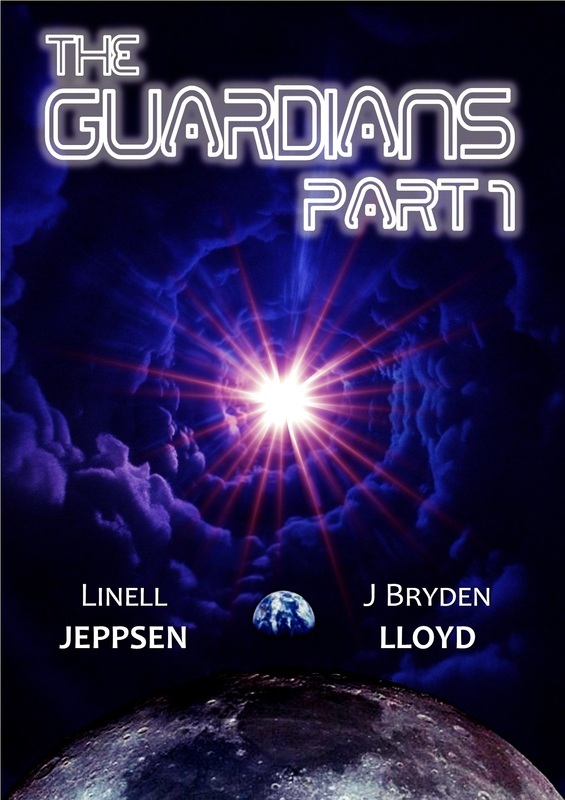 This High-octane science fiction serialized novel is wowing readers here and around the world! With 15- 4 and 5 star reviews try it today for only 99 cents per episode! My novel, Story Time, is a post-apocalyptic, sci/fi thriller. It has gathered over 57- 4 and 5 star reviews since it debuted in September of 2011! 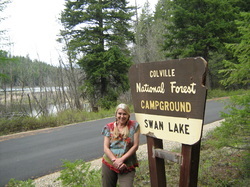 It was also nominated as the best read of 2011 by the Paranormal Romance Guild. 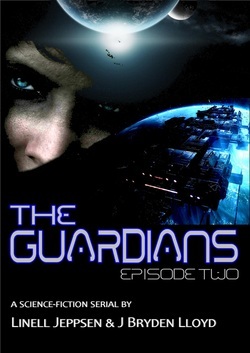 It is also being made into an audio book, starring the WONDERFUL, Amy Gramour! Onio, a novel about a half-human Sasquatch who falls in love with a human girl, is scheduled for release this holiday season. This novel is a paranormal fantasy filled with magic, war, love, hate and hope! Mission Statement- I really want to interact with my fellow writers and readers on this web page-so, I will be hosting events, give-aways, posting news, thoughts, and observations on a regular basis. I want to hear your thoughts, and share your good news with others... so if you have received a spectacular review, or have learned something new and exciting about the world of science fiction and/or fantasy, please share it with us!